Until clinicians are familiar with the new ICD-10 codes and usage, mistakes are inevitable but they can be minimized with proper planning and training. One of the biggest problems for practitioners now is the continued proliferation of myths and misconceptions surrounding the new coding system. Believing that misinformation can lead to compliance issues and be costly for practices. The following are the top 10 mistakes to avoid about ICD-10 and its implementation. This is perhaps the biggest mistake clinicians can make. Many medical professionals are hoping for a delay in implementation or a rollback of the Oct. 1, 2014 deadline. No further extensions will be granted. All entities covered by the Health Insurance Portability and Accountability Act (HIPAA) are required to use the new coding set by the deadline. 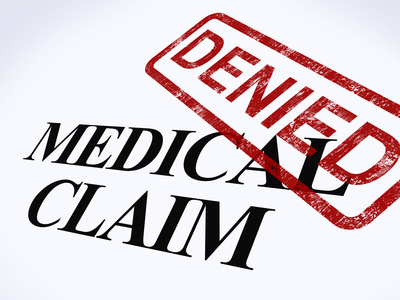 Reimbursement claims submitted after that date using ICD-9 codes will be denied. It’s true that Worker’s Compensation and auto insurance companies can choose to apply for a waiver for exemption from the use of ICD-10. They’re considered non-covered entities and mandatory conversion isn’t required, but it’s in their best interests to do so. ICD-10 coding provides in-depth details about events that can be of significant use when determining payment, coverage and responsibility. Using ICD-10 coding requires electronic transmission of data that facilitates quick closure of claims. ICD-9 code sets won’t be maintained after the ICD-10 implementation deadline. This is a fallacy that will cost clinicians dearly if they believe it. Covered entities in the U.S. will be required to make the transition to ICD-10 and that includes state Medicaid programs. The Centers for Medicare & Medicaid Services (CMS) has indicated that it will be working closely with state programs to implement ICD-10 and accomplish it before the official deadline. The number of codes in ICD-10 is far greater than the previous version and clinicians will be required to code in greater detail. However, practitioners won’t use the full complement of coding options. A physical therapist and a heart surgeon will utilize a completely different set of coding due to their specialties. ICD-10 contains an Alphabetic Index and a Tabular Index to help practitioners locate the correct codes. 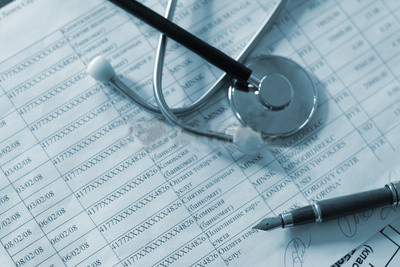 EMRs and billing programs are also available with tools to make coding easier and faster, and can even identify coding errors and potential problems. A significant amount of time, effort and consultation went into the development of ICD-10. Many of the profession’s most respected organizations and societies contributed to the codes. Chief among those entities was the CMS, the American Health Information Management Association (AHIMA), the American Hospital Association (AHA) and the National Center for Health Statistics (NCHS). Coding manuals are already available for ICD-10-CM and ICD-10-PCS. They’re manageable in size – not thick, unwieldy tomes. While the new coding system can be assisted by modern, computerized technology, they’re use doesn’t rely on software or electronic means. Even though ICD-10 was created some years ago, it was regularly updated and specifically designed to progress along with technology, techniques and disease discovery. Its reorganization and expanded number of codes reflects that. ICD-10 is the most current source available for coding. ICD-10 is based on medical documentation, just like ICD-9. The new system does require more in-depth coding to document patient complaints and provide more specificity. Clinical documentation already contains much of the information required by ICD-10. The difference is that some information will be documented with a specific code instead of notes and ancillary data. Medical professionals should always endeavor to code to the highest possible level of certainty. Clinicians can continue to use super bills, but they may not be adequate for all coding needs. The new coding won’t necessarily make them longer or too complex. Those who use super bills will need to crosswalk ICD-9 codes to the ICD-10 system for accuracy using General Equivalence Mappings (GEMs). A GEM is a useful tool, but it was never intended for coding medical records. They were created to facilitate the conversion of ICD-9 databases to ICD-10. Anyone can use them and clinicians won’t be required to develop their own GEMs. They’ll be phased out after three years as clinicians and billers become more familiar and efficient with the new coding system. There are any number of mistakes and errors that can be committed by clinicians who haven’t exhibited due diligence in separating fact from fallacy. Assumptions and misinformation will create havoc for practices, result in denied claims and jeopardize reimbursements.